The Institute hosted three visitors in March: Stathis Psillos, Anjan Chakravartty, and Lisa Feldman Barrett. During his stay, Stathis Psillos taught a graduate seminar titled, “What is a Law of Nature?”. He also gave commentary during a Rotman Dialogue with Anjan Chakravartty, based on his book, “Scientific Ontology: Integrating Naturalized Metaphysics and Voluntarist Epistemology”. Chakravartty also delivered a talk, titled Constraints on Rational Scientific Disagreement. Lisa Feldman-Barrett took part in a Rotman Dialogue based on her book, “How Emotions Are Made: The Secret Life of the Brain“, with commentary provided by Aubrie Schettler (Doctoral student, Department of Philosophy) & Lindsay Gabel (M.Sc. candidate, Department of Psychology). And finally, Barrett delivered the 2019 Rotman Lecture, Emotions: Facts vs. Fictions, at Wolf Hall. It’s been an extremely busy, but very exciting month! Videos of these events will be available soon on our YouTube channel–stay tuned! 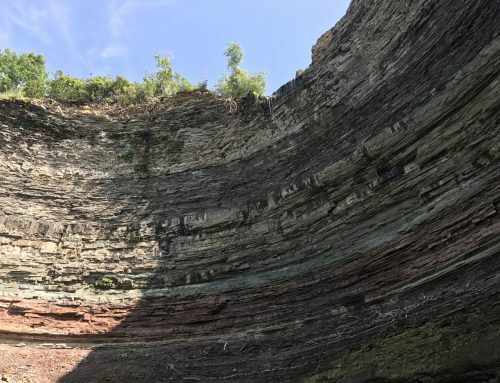 In other news, the Center for Ethics and Policy (Carnegie Mellon University) and the Rotman Institute are co-sponsoring a workshop on Philosophical Issues in Research Ethics, to be hosted here at Western, on November 7 – 8, 2019. The workshop organizers invite paper submissions from faculty within five years of first appointment, postdoctoral fellows and job-market-ready doctoral students. Papers must address a philosophical issue in the ethics of research involving human participants and must be no more than 5,000 words in length. See full details here. 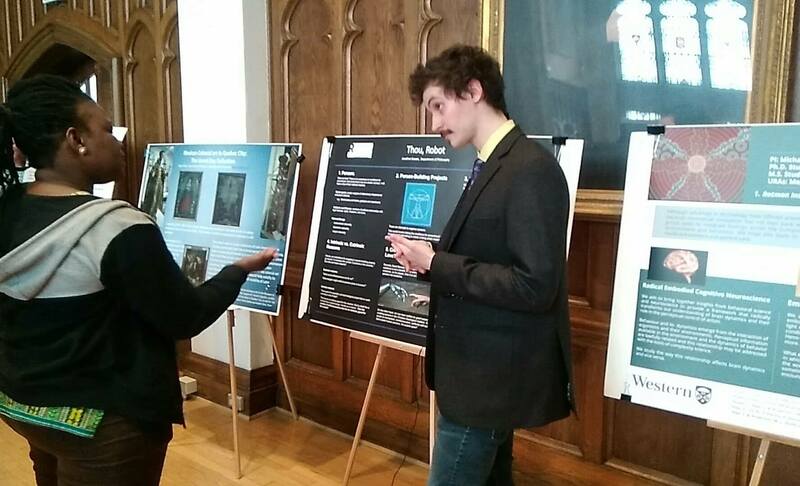 Finally, a number of Rotman members took part in this year’s Faculty of Arts & Humanities Research Day event, presenting posters about their current research on March 20. 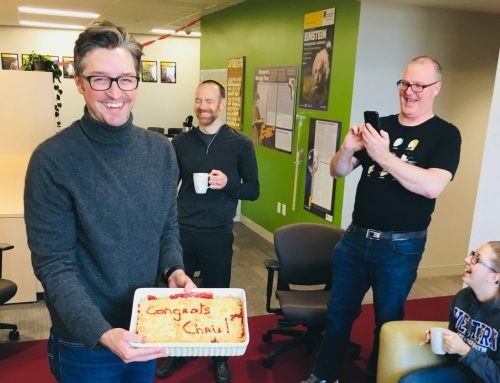 Members who took part included: Michael Anderson, Jon Bowen, Nicole Fice, Craig Fox, Marie Gueguen, Ben Hill, Michael Korngut, and Chris Smeenk. The Institute also submitted a poster summarizing research projects of core faculty members. Other news from our members is listed below in alphabetical order. Mark Baker is currently away on a MITACS exchange to Utecht University, Netherlands. 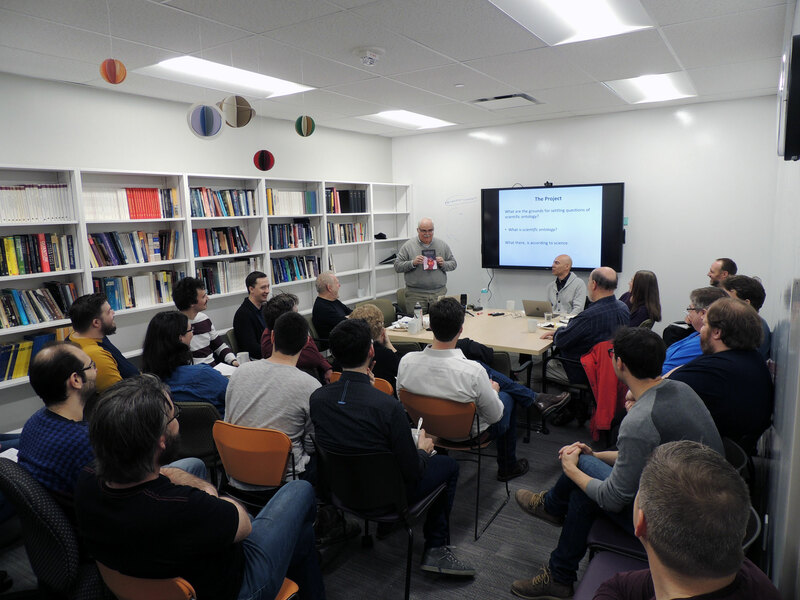 The purpose of the exchange is to collaborate with members of the philosophy of physics community internationally, and to continue the research started at Western on an axiomatic approach to classical field theory. 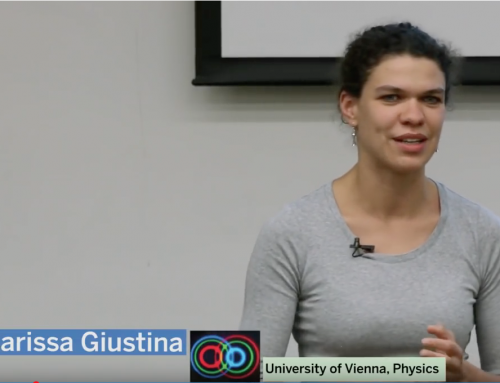 During this time, he has published an article titled “A connection between linearized Gauss-Bonnet gravity and classical electrodynamics“. Jon Bowen received a Rotman Graduate Student Assistanceship to support his work in the summer under Mike Anderson. They will be developing virtual reality experiments as part of an effort to develop a new theoretical framework that bridges Gibsonian behavioural science with a neural reuse theory of brain dynamics. Jon Bowen was invited to the Diverse Intelligences Summer Institute from June 30 – July 20. He will be joining a group of 40-45 international graduate students, postdocs, and early career faculty from across a number of disciplines, with the common aim of investigating intelligence in human, animal, and machines across disciplinary lines. Harshita Jaiprakash presented a poster and was a round table panelist at the Robert MacMillan Symposium in Education, here at Western. 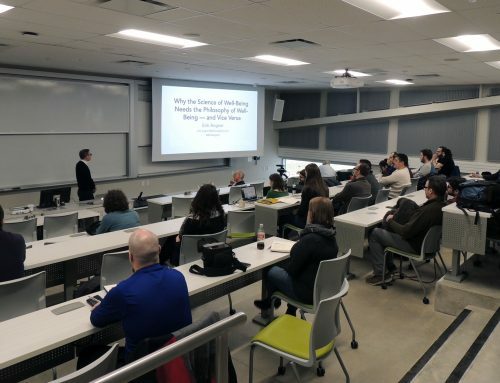 She presented the groundwork for a study on ‘How phenomenological inquiry can contribute to the ethical development of Experiential Learning (EL) programs’ at higher education institutions in Ontario. The poster addressed discrepancies in the policies and framework of EL programs in Ontario, while the round table addressed the relationship between ethics and embodied phenomenological experiences for student participants. Diane O’Leary published a paper in Bioethics this month called “Ethical classification of ME/CFS in the United Kingdom“. The paper has an Altmetric rating of 99, which puts it in the 98th percentile across all research outputs ever tracked by Altmetric. Diane O’Leary wrote a popular post for the Journal of Medical Ethics Blog this month called “It’s time to pay attention to ‘chronic fatigue syndrome’“. Diane O’Leary was the guest speaker at the monthly joint Rotman-BMI coffee break held on March 28. Anthony Skelton co-organized a symposium with Lisa Forsberg (Oxford) on David Brink’s Fair Opportunity, Responsibility, and Excuse . It took place at Somerville College, Oxford on 20 March 2019. Speakers included Jeff McMahan (Oxford), Tom Douglas (Oxford), Victor Tadros (Warwick), Janet Radcliffe-Richards (Oxford), Karen Margrethe Nielsen (Oxford), Gabriel De Marco (Oxford), Alex Kaiserman (Oxford), Tom Dougherty (Cambridge), Gabrielle Watson (Oxford) and David Prendergast (Trinty College Dublin). 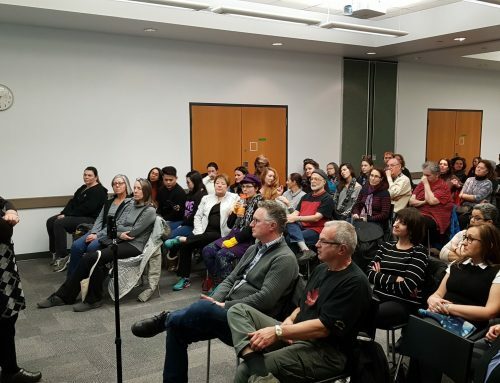 The event was funded by the Research Support Fund, Faculty of Law, University of Oxford, the Faculty Board of Philosophy, University of Oxford, and the Rotman Institute of Philosophy, University of Western Ontario. 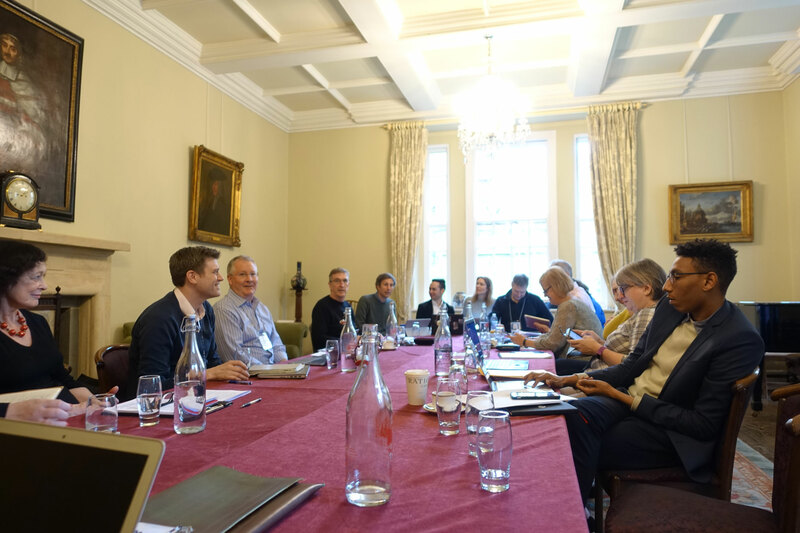 Anthony Skelton co-organized a workshop with Lisa Forsberg (Oxford), Isra Black (York), and Jonathan Herring (Oxford) entitled Children’s Consent: Philosophy and Law in Conversation. It took place at Exeter College, Oxford on 21-22 March 2019. Speakers included Tom Dougherty (Cambridge), Victor Tadros (Warwick), Isra Black (York), Jonathan Herring (Oxford), Gottfried Schweiger (Salzburg), Jo Bridgeman (Sussex), David Brink (UCSD), Tracey Elliott (Leicester), Peter Schaber (Zurich), Emma Cave (Durham), Anthony Skelton (Western Ontario), Lisa Forsberg (Oxford), Andrew Franklin-Hall (Toronto), Mary Donnelly (Cork), Dave Archard (QUB), and Jonathan Montgomery (UCL). The event focused on a range of issues, including children’s consent to medical treatment, children’s values, wellbeing, responsibility, and decision-making capacity. It was funded by the John Fell OUP Research Fund, Research Support Fund, Faculty of Law, University of Oxford, York Law School, University of York, the Society for Applied Philosophy, the Faculty of Arts and Humanities, University of Western Ontario, and Exeter College, Oxford. Anthony Skelton received a Social Sciences and Research Council of Canada Explore Grant for his research project entitled Sidgwick’s Ethics. An article on the US college admissions scandal in Quartz magazine, titled “Are the students in the admissions scandal morally culpable?“, included comments by Anthony Skelton. The second edition of Bioethics in Canada, edited by Charles Weijer and Anthony Skelton, was published on 15 March. Jane Parnell and former Rotman postdoc Lisa Forsberg supplied research support in drafting this edition. Smith MJ, Upshur REG. (2019). Pandemic Disease, Public Health, and Ethics. In Oxford Handbook of Public Health Ethics, ed. Mastroianni A, Kahn J, Kass N. Oxford University Press. Smith MJ, Weinstock D. (2018). Political Legitimacy and Research Ethics. Bioethics, 33(3): 312-318. Jackie Sullivan, co-edited with Tony Ward (Psychology, Victoria University of Wellington) and Russil Durrant (Psychology, Victoria University of Wellington) a special issue of the journal Psychology, Crime and Law on “Understanding Crime: A Multilevel Approach“. The volume includes a paper by Sullivan (“Achieving cumulative progress in understanding crime: some insights from the philosophy of science“) as well as a paper by former Western Philosophy MA Student Emily Baron (“The borders of criminal responsibility: difficult cases for the law’s default understanding of people“), who is now in the JD/PhD program in Law and Philosophy at the University of Toronto. 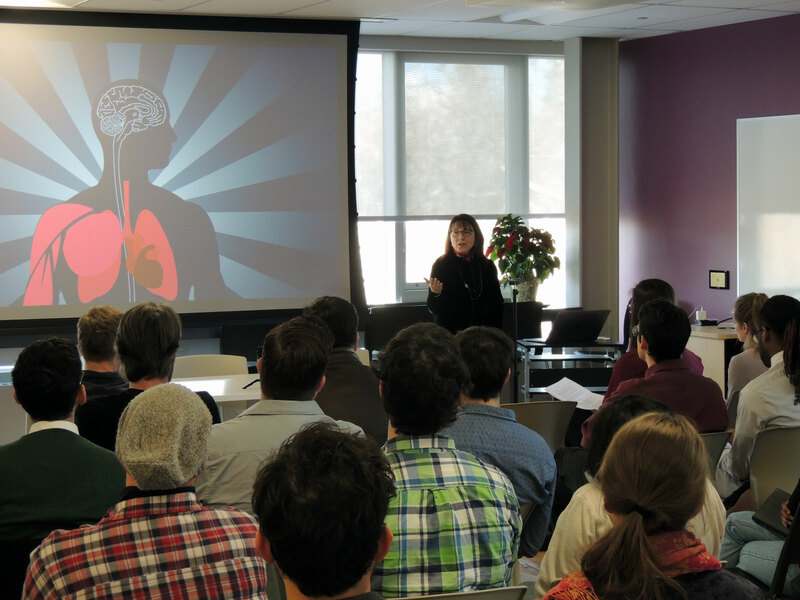 Jackie Sullivan gave at Friday morning Coffee Talk titled, “Philosophy of Neuroscience as a Complement to Neuroscience” at Western’s Brain and Mind Institute on March 1, 2019. 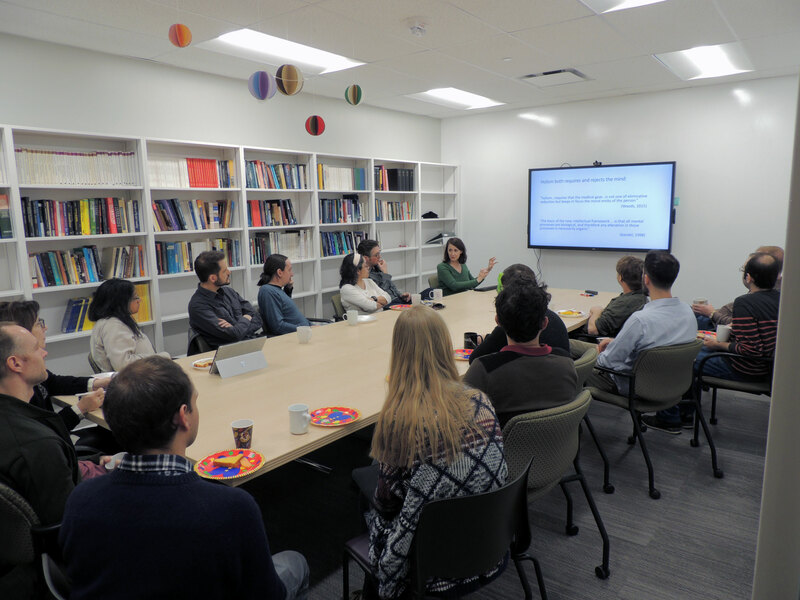 Jackie Sullivan gave a talk titled, “Coordinating Scientific Perspectives in Experimental Contexts: Lessons from Translational Cognitive Neuroscience and the RDoC Project” as part of the Culture, Brain and Mind Seminar series at McGill University, Montreal, QC, on March 28, 2019. On March 28, 2019 Monica Taljaard, Charles Weijer and Sheila Sprague (McMaster University) presented a plenary panel on “Ethical issues in Pragmatic Clinical Trials” to an audience of 450 people at the Clinical Trials Ontario Conference in Toronto. Pictured above: Stathis Psillos gives commentary on Anjan Chakravartty’s book, “Scientific Ontology: Integrating Naturalized Metaphysics and Voluntarist Epistemology”, during a Rotman Dialogue; Lisa Feldman Barrett discusses her book, “How Emotions are Made: The Secret Life of the Brain”, during a Rotman Dialogue; Jon Bowen discusses his poster, “Thou, Robot” at the Arts & Humanities Research Day event; Diane O’Leary presents her research during the March joint Rotman-BMI coffee break; Monica Taljaard speaks during the Clinical Trials Ontario Conference; participants of the Children’s Consent workshop in Oxford, organized by Anthony Skelton, et al.